The following are awards, certifications, or memberships that our attorneys have received or partake in. Each award has a different meaning and the attorneys that received the awards have passed stringent requirements to be able to receive one. The certifications are given to the attorneys that have the highest rating in customer satisfaction by going beyond the needs of their clients. The attorney memberships allow the lawyers to continue their legal education and become better at practicing law and exceeding their clients’ expectations. 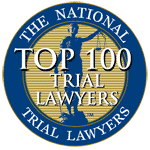 The National Trial Lawyers – Top 100 Trial Lawyers – The National Trial Lawyers: Top 100 trial lawyers is composed of the top trial attorneys in the state. Each attorney is hand-picked by the organization after meeting stringent qualifications. Not every attorney has this prestigious title. Christopher G. Aiello was selected to The National Trial Lawyers – Top 100 Trial Lawyers list. 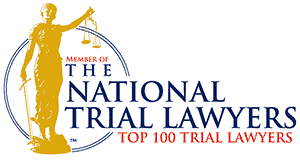 The Top 100 Trial Lawyers list is issued by The National Trial Lawyers. A description of the selection of methodology can be found at http://www.thenationaltriallawyers.org/ntl-groups/top-100-trial-lawyers/. No aspect of this advertisement has been approved by the Supreme Court of New Jersey. 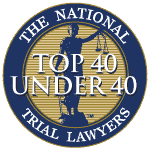 The National Trial Lawyers – 40 Under 40 – The National Trial Lawyers is an organization consists of the top attorneys in the nation. It’s Top 40 under 40 is an opportunity from this national organization to encourage and recognize outstanding attorneys. Each member of the Top 40 under 40 are handpicked by the organization after meeting stringent requirements. Timothy J. Broking was selected to The National Trial Lawyers – 40 Under 40 list. The 40 Under 40 list is issued by The National Trial Lawyers. A description of the selection of methodology can be found at http://www.thenationaltriallawyers.org/ntl-groups/top-40-under-40/. No aspect of this advertisement has been approved by the Supreme Court of New Jersey. NELA – The National Employment Lawyers Association (NELA) is one of the largest legal professional organization comprised of attorneys that are passionate about defending employee rights. The organization advances the rights of an employee through its members that advocate for justice. Avvo Top Attorney In Criminal Defense – Avvo can be seen as being Yelp for attorneys. Former clients are able to leave a review and rate the performance of their attorneys. The following award is for criminal defense. Christopher G. Aiello was selected for AVVO’s –top attorney criminal defense list. The top attorney criminal defense list, is issued by AVVO. A description of the selection of methodology can be found at https://support.avvo.com/hc/en-us/articles/208478156-What-is-the-Avvo-Rating. No aspect of this advertisement has been approved by the Supreme Court of New Jersey. 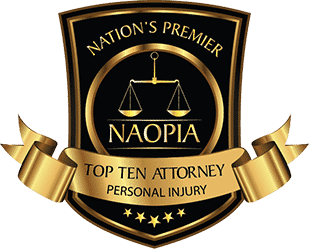 Avvo Top Attorney In Personal Injury – Avvo is a website where former clients review and rate the attorney’s performance. The ratings are scaled from 1 to 10, with 10 being the highest score. Not many attorneys are able to receive a perfect score, but when they put clients’ needs first, it’s not surprising when they do. The following award is for personal injury. Christopher G. Aiello was selected for AVVO’s –top attorney personal injury list. The top attorney criminal defense list, is issued by AVVO. A description of the selection of methodology can be found at https://support.avvo.com/hc/en-us/articles/208478156-What-is-the-Avvo-Rating. No aspect of this advertisement has been approved by the Supreme Court of New Jersey. Avvo Top Attorney In Workers Compensation – Avvo is a review site that allows former clients to review and rate their attorney’s performance. The following award is for workers compensation. Christopher G. Aiello was selected for AVVO’s –top attorney workers compensation list. 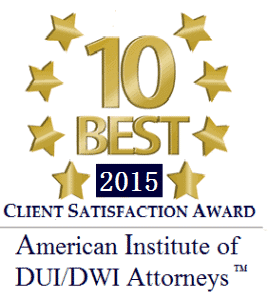 The top attorney criminal defense list, is issued by AVVO. A description of the selection of methodology can be found at https://support.avvo.com/hc/en-us/articles/208478156-What-is-the-Avvo-Rating. No aspect of this advertisement has been approved by the Supreme Court of New Jersey. 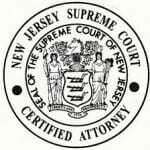 New Jersey Certified Civil Trial Attorney – A certified civil trial attorney is designated by the New Jersey Supreme Court, when an attorney demonstrates that he or she has a high level of experience, knowledge and skill. 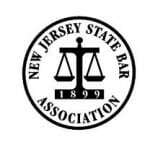 New Jersey State Bar Association – The New Jersey State Bar Association is composed of 18,000 volunteer members that make the legal profession more effective for individuals in need of legal assistance. The members within the organization advance personal development of the attorneys by keeping them informed with the latest case law and legislative decisions. Also, the organizations give the opportunity for attorneys to seek advice from others attorneys on a legal issue that is still undecided by the courts. ABA – According to their site, “The American Bar Association is one of the world’s largest voluntary professional organizations, with nearly 400,000 members and more than 3,500 entities.” The organization allows lawyers to work together and advocate for their clients’ rights. American Association for Justice – The American Association for Justice is an organization that promotes civil justice. It is a group of attorneys that will commit their expertise and skills to strengthen the civil justice and to allow innocent individuals to receive justice from the legal system. 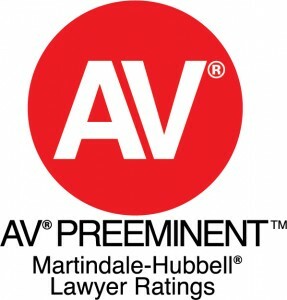 Martindale-Hubbell’s AV Preeminent Certification – The AV Preeminent certification is from Martindale-Hubbell’s Peer Review Rating. It means that the attorney received the highest rating possible under the Martindale-Hubbell’s scale. It is also demonstrates that the attorney’s peers rank the attorney at the highest professional excellence. 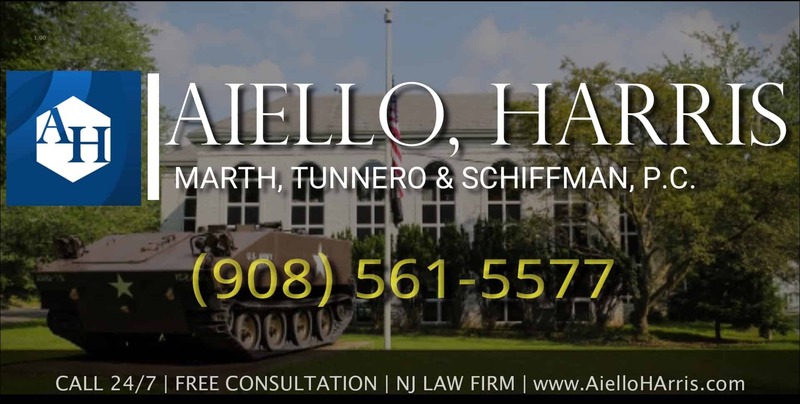 The law firm of Aiello, Harris, Marth, Tunnero & Schiffman, P.C., was rated 4.6 out of 5.0, by their peers on Martindale.com. The peer rating is issued by martindael-Hubbelll. A description of the selection of methodology can be found at http://www.martindale.com/Products_and_Services/Peer_Review_Ratings.aspx. No aspect of this advertisement has been approved by the Supreme Court of New Jersey. American Institute of Legal Counsel’s 2014 10 Best DUI/DWI Attorneys – Only ten attorneys may have this award at any given year. 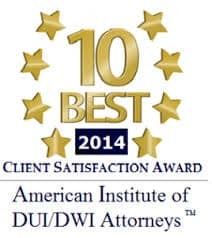 It is a prestigious award from the American Institute of Legal Counsel and it given to the attorneys that have the highest client satisfaction int DWI / DUI Defense. We offer a vast amount of experience in an equally broad range of legal practice areas. Call us today at (908) 561-5577 or contact us online. Your initial consultation is free. We will come to you or you can schedule an appointment at one of our offices in Woodbridge, Watchung or Lyndhurst NJ.